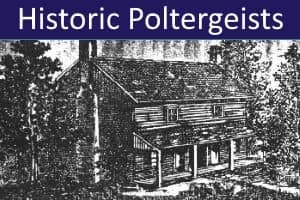 Here we present summaries of seven of the most notable historical poltergeist cases, dating from 1650 to 1950. 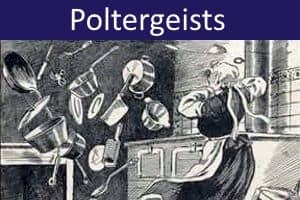 Note that referring to these as 'poltergeist cases' should not be taken to imply that genuine paranormal phenomena occurred. Rather, each case is given a credibililty rating based on our opinion of the nature and quality of the witness testimony, as well as results from contemporary or later investigations. Location: Tedworth (Tidworth), Wiltshre, England. House of John Mompesson (Justice of the Peace) and family. 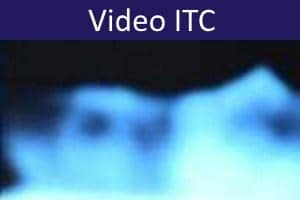 Principal Investigators: (1) Rev. Joseph Glanvill (Fellow of the Royal Society); (2) King's Commission. Phenomena: Knocking, scratching and drumming. Movement of objects. Offensive smells. Apparitions; imitative noises and voices. 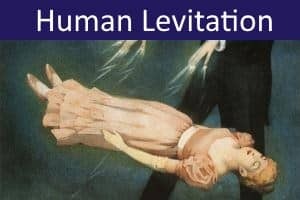 Levitation of children. Trigger: Phenomena began after John Mompesson had won a lawsuit against local drummer, William Drury, and Drury's drum was confiscated and sent to Mompesson's house. 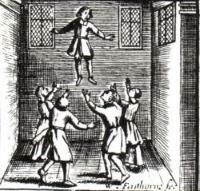 Comments: Drury was tried and convicted of causing the phenomena through witchcraft. The King's Commission concluded that the events were a hoax or due to the misinterpretation of natural phenomena. Credibility: ★☆☆☆☆ Paranormal activity is conceivable but unlikely. Hunter, M. (2005). New light on the 'Drummer of Tedworth': Conflicting narratives of witchcraft in Restoration England. Historical Research, 78 (201), 311- 353. Glanvill, J. (1668). A Blow at Modern Sadducism in Some Philosophical Considerations about Witchcraft. London. Glanvill, J. (1681). Saducismus triumphatus: or, Full and plain evidence concerning witches and apparitions. London. Location: Old Rectory, Epworth, Lincolnshire, England. Residence of Rev. Samuel Wesley and family. Principal Investigator: Rev. Samuel Wesley (father of John Wesley, founder of the Methodist Church). Phenomena: Loud rattling. Knocking. Groans. Clinking metal. Sound of winding clock and of horn. Pushing of persons. Apparitions. Levitation of bed. 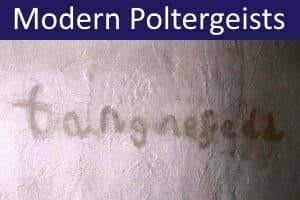 Poltergeist Agent: Possibly Wesley's wife, Susanna, or one of the Wesleys' daughters. Trigger: Possibly marital tensions, family traumas and financial problems. Comments: The Wesleys had 19 children following their marriage in 1688. Nine of the children died in infancy. Three sons and seven daughters survived. The eldest daughter Mehetabel ('Hetty'), who was a teenager at the time, gave the poltergeist the nickname 'Old Jeffrey'.The Wesleys' original Rectory home at Epworth burned down in 1709 and their 5-year old son, John, was rescued from the flames. The Rectory was rebult and refurnished, but at great personal cost. Samuel Wesley remained in debt until his death in 1735, and was twice sent to a debtor's prison. The Old Rectory, Epworth is now a Methodist Museum. Credibility: ★★★☆☆ Paranormal activity appears likely. Bruce, H. Addington (1908). 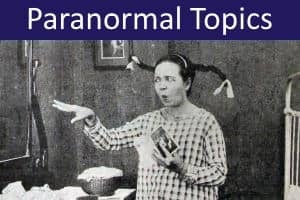 Historic Ghosts and Ghost Hunters. New York: Moffatt, Yard & Co..
Clarke, R. (2013). A Natural History of Ghosts: 500 Years of Hunting for Proof. London: Penguin Books. Crain, M.B. (2009). Haunted Christmas: Yuletide Ghosts and Other Spooky Holiday Happenings. Essex, CT: Globe Pequot Press. Principal Investigator: None (legendary accounts only). Phenomena: Noises from walls. Slapping and pinching. Pulling of hair. Pulling at bed covers. Throwing of objects. Spilling of milk. Laughing, voices, verbal abuse, singing. Poltergeist Agent: The Bells' youngest daughter, Elizabeth ('Betsy'), born 1806. Trigger: Unclear. The first manifestation occurred when John Bell shot at a strange creature at the farm. 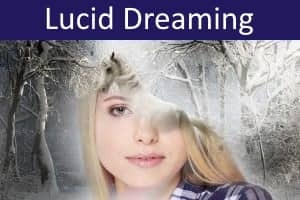 Comments: Several reviewers of this case have suggested the phenomena were a hoax perpetrated by Betsy, her then fiancé, Joshua Gardner, or her schoolteacher Richard Powell (whom she later married). In 1820, John Bell was struck by an unknown illness. He died in December that year, perhaps as a result of poisoning. Soon after, the phenomena abated but, according to some accounts, briefly reappeared seven years later. Fitzhugh, P. (2000). 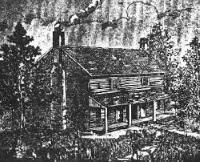 The Bell Witch: The Full Account. Ashland City, TN. : Armand Press. Nickell, J. (2014). The 'Bell Witch' poltergeist. Skeptical Inquirer: Investigative Files, 38.1. Location: Hydesville, Wayne County, New York, USA. House occupied by John Fox (blacksmith) and family. Principal Investigators: (1) Austin Flint, Charles E. Lee, and C.B. Coventry (University of Buffalo); (2) Charles Grafton Page (pioneer of electromagnetism). Phenomena: Rappings on walls, doors and furniture. Sounds of footsteps and moving furniture. Poltergeist Agents: John Fox's two youngest daughters, Margaretta ('Maggie'), aged about 14, and Kate ('Cathie'), aged about 10. Trigger: Possibly taking up residence in the (reputedly haunted) Hydesville house in 1847. 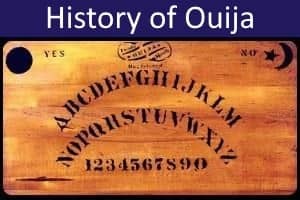 Comments: Margaretta and Kate claimed that spirits (deceased persons) were responsible for the noises, and that the spirits could respond to questions and were able to answer using coded raps. Soon the girls were holding private and public seances, and beginning their long and celebrated career as spirit mediums. 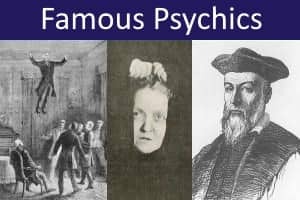 As such, the Fox Sisters are generally recognised as the founders of modern Spiritualism. 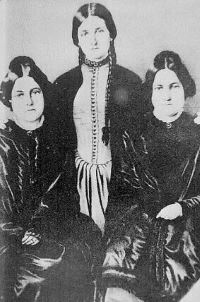 In 1851, the girls were investigated by researchers from the University of Buffalo (Austin Flint, Charles E. Lee, and C.B. Coventry). They concluded that the noises were caused by the sisters cracking bone joints (toes, knees, or ankles) under their clothing. The scientist Charles Grafton Page, who investigated the sisters in 1853, formed the same opinion. In 1888, Margaretta confessed that the sisters had faked the raps by cracking their knuckles, toes and ankles. However, this confession was later recanted. Hansel, C.E.M. (1989). 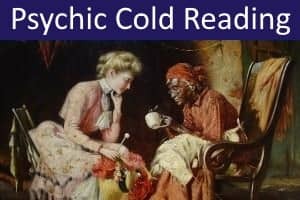 The Search for Psychic Power. New York: Prometheus Books. pp. 233-236. Page, C.G. (1853). 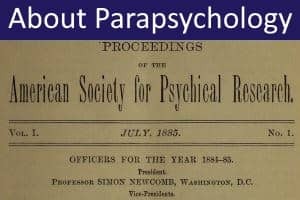 Psychomancy: Spirit-Rappings and Table-Tippings Exposed. New York: Appleton. Podmore, F. (1902). 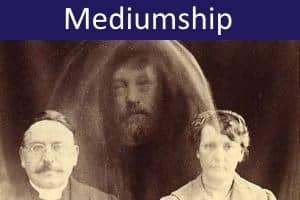 Modern Spiritualism: A History and a Criticism. Cambridge: Cambridge University Press. Location: Amherst, Nova Scotia, Canada. Home of Daniel Teed (factory foreman), his wife Olive, and their two young sons. Also resident at the house were Olive's unmarried sister, Esther Cox, another brother and sister (William and Jennie), and Daniel's brother, John. Principal Investigator: (1) Walter Hubbell (actor); (2) Hereward Carrington (psychical researcher). Phenomena: Banging, knocking, scratching. Esther Cox suffers seizures and swelling of her body. Objects moved and thrown. Bedclothes moved. Writing on walls. Temperature changes. Outbreaks of fire. Communication by raps. Slapping, pricking, scratching, stabbing. Sudden appearance of objects. Phenomena continued around Esther after she moved in with another family. Poltergeist Agent: Esther Cox (age 18-19). Trigger: In August 1878, Esther Cox was sexually assaulted by a male friend, Bob McNeill. The phenomena started a few days later. Also Esther's sister, Nellie, married and moved out of the crowded house around this time. Comments: Later reviewers of this case have criticised Hubbell's slack approach to the investigation and his tendency to elaborate upon events in his various accounts. It has also been suggested that Esther may have hoaxed certain phenomena, perhaps while in a dissociated state. Credibility: ★★☆☆☆ Paranormal activity seems possible. Carrington. H. (1913). 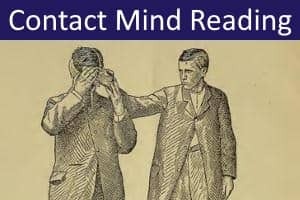 Personal Experiences in Spiritualism. London: T Werner Laurie. Location: Borley Rectory, Borley, near Sudbury, Essex, UK. Residence of Rev. Lionel Foyster (born 1878), his much younger wife Marianne (born 1899), and their adopted daughter Adelaide (born 1928). 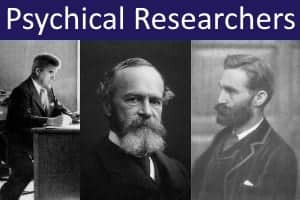 Principal Investigators: (1) Harry Price (psychical researcher); (2) Eric Dingwall, Kathleen M. Goldney, and Trevor H. Hall (Society for Psychical Research). Phenomena: Footsteps. Ringing of bells. Voices. Breaking windows. Writing on walls and paper. Throwing of stones, books, bottles and bricks (generally at Marianne, and sometimes causing injury). The appearance, disappearance and displacement of objects. Overturning of furniture. Apparitions. Odours. Booby-traps. Temperature changes. Outbreaks of fire. The locking and unlocking of doors. Poltergeist Agent: Marianne Foyster (age 31-39). Trigger: The Foysters moved into the Rectory in October 1930. The phenomena started soon after. Comments: Borley Rectory was built in 1862 on the site of an earlier rectory that had burned down in 1841. Borley Rectory had a reputation for being haunted long before the Foysters moved in. The Foysters left Borley Rectory in 1935, due to Lionel's ill-health, and the phenomena then subsided. Marianne later confessed that, while at the Rectory, she was carrying on a sexual affair with the Foysters' lodger Francois d'Arles (real name Frank Pearless) whose young son was a playmate for Adelaide. It has also been suggested that Lionel Foyster may have condoned the affair. During his investigations at Borley, psychical researcher Harry Price concluded, and told Lionel, that Marianne was responsible for faking many of the phenomena, although Price continued to maintain that the Rectory was haunted. 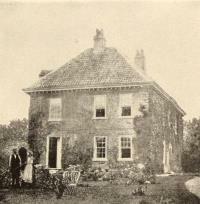 After the Foysters moved out of Borley Rectory, Price leased the property in order to continue his investigation of 'The Most Haunted House in England'. A later reassessment of Harry Price's investigations at Borley, carried out by members of Society for Psychical Research, concluded that many of the occurrences were faked by Marianne, or could be explained by natural causes. They also suggested that Price himself may have faked certain phenomena at the Rectory. In 1939, Borley Rectory was severely damaged by fire and was finally demolished in 1944. 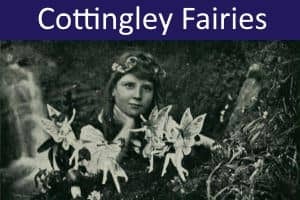 Several years later, Marianne confessed to having faked some of the events at Borley. Dingwall, E.J., Goldney, K.M., & Hall, T.H. (1956). The Haunting of Borley Rectory. London: Duckworth. Price, H. (1946). The End of Borley Rectory. London: G. G. Harrap & Co. Location: Doarlish Cashen (Cashen's Gap), near Dalby, Isle of Man. 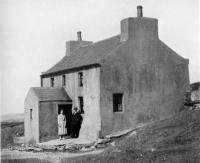 Farmhouse owned by James and Margaret Irving, and their daughter Voirrey (aged 13 in 1931). Principal Investigators: (1) Harry Price (psychical researcher) and Richard S. Lambert (journalist); (2) Nandor Fodor (parapsychologist). Phenomena: Scratching in the walls. Growling. Imitative sounds. Intelligible English speech. Throwing of objects. Sightings of a mongoose. Possible physical traces of a mongoose (photographs, stains, hair, footprints). Poltergeist Agent: Voirrey Irving (age 13-19). Possibly James Irving. Trigger: Unknown. Possibly stress or abuse in the family. Comments: The Irvings attributed the phenomena to 'Gef' (pronounced 'Jeff'), the ghost of a mongoose who claimed to have been born in India in 1852. Gef regularly spoke to members of the family, who came to treat the creature as a pet. The 'talking mongoose' case received significant coverage in the Isle of Man and UK press, and attracted many visitors to the Island. 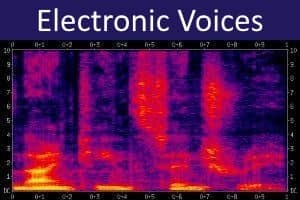 Psychical investigators Harry Price and Nandor Fodor, who both visited the farmhouse in the 1930s, failed to see or hear Gef. Hairs and footprints, claimed to be from the mongoose, were found to be those of a dog. Images of Gef in photographs could not be clearly identified. While elements of the case suggest a hoax perpetrated by Voirrey, a collective fantasy created by the family, or even evidence of multiple personality, academic opinion on this most unusual case remains divided. Fodor, N. (1964). Between Two Worlds. West Nyack, NY: Parker. Josiffe, C. (2017). Gef! : The Strange Tale of an Extra-Special Talking Mongoose. London: Strange Attractor Press. Price, H. & Lambert, R.S. (1936). The Haunting of Cashen's Gap. London: Methuen.